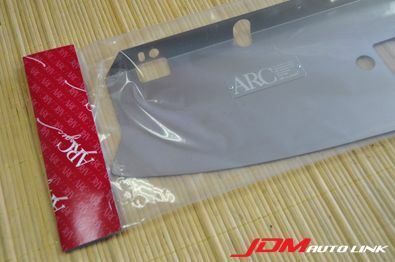 Mint condition pre-owned ARC Titanium Pulley Cover to fit the GDB/GDA Subaru Impreza WRX STi. 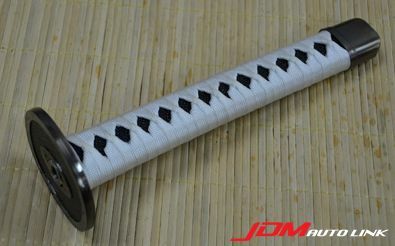 Very rare piece that is easily called a work of art. 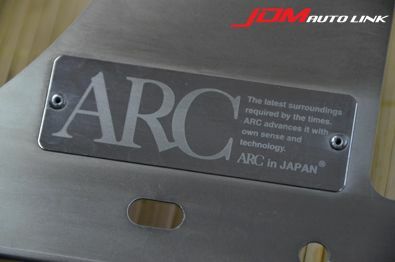 The welds give off a look and feel that is unique to ARC's hand crafted Pulley Cover. 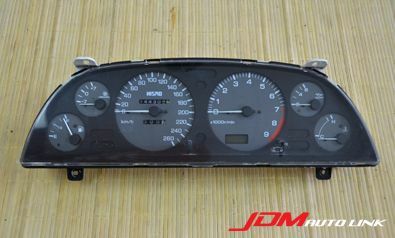 Mint condition pre-owned Nismo Combination Meter Cluster for the R32 Nissan Skyline. 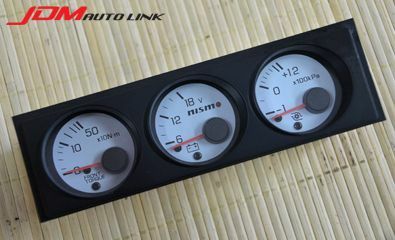 The Nismo Combination Meter Cluster is a great addition to a great car. 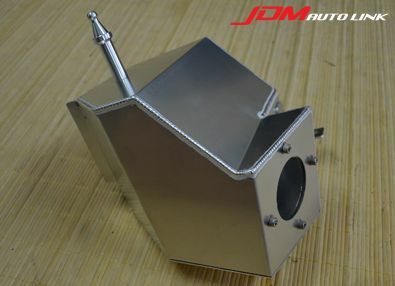 It is designed to replace the existing unit, plug and play. 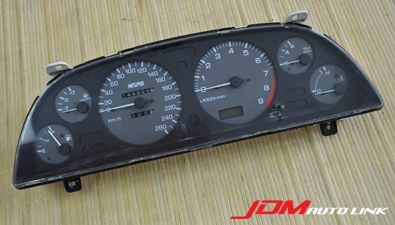 It has the Nismo logo is on the Tachometer part of the gauge and measures up to 260km/h. 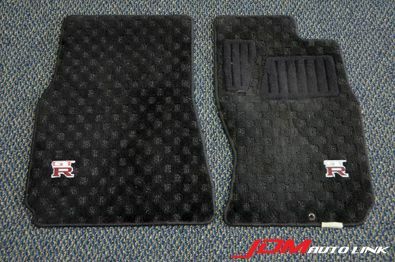 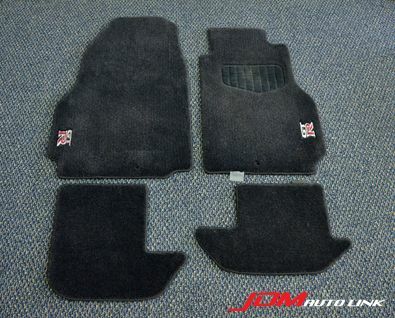 Set of floor mats off the Nissan Skyline R34 GT-R (BNR34). 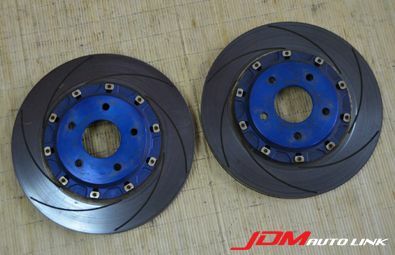 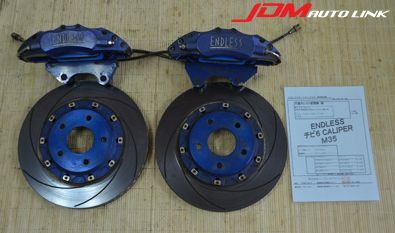 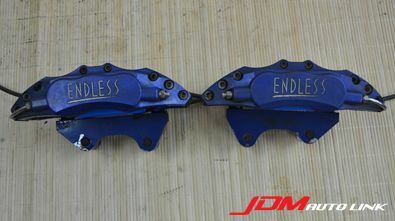 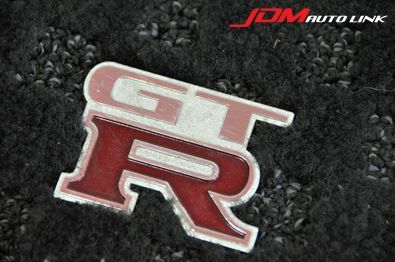 Perfect to replace your worn ones or as upgrades in a R34 GTT. 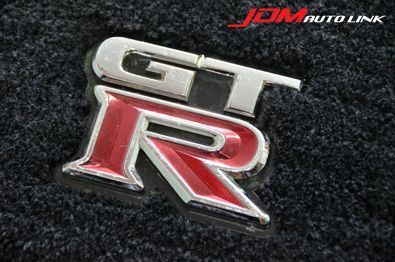 These floor mats have the GT-R emblem embedded on it. 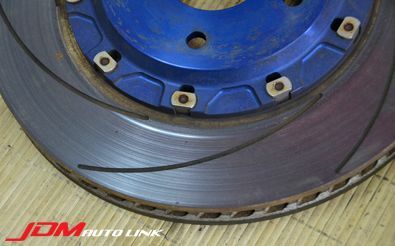 There are some worn bits on the drivers side. 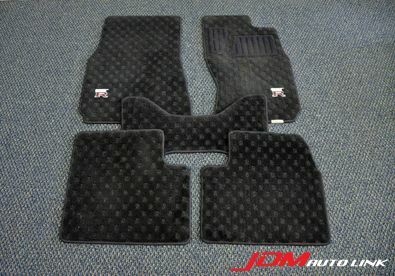 Contact us at sales@jdmautolink.net for pricing and delivery to your location. 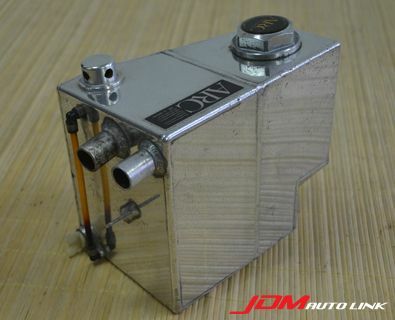 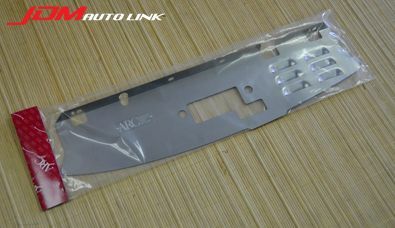 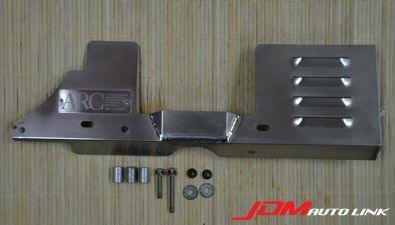 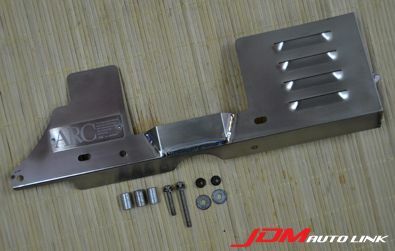 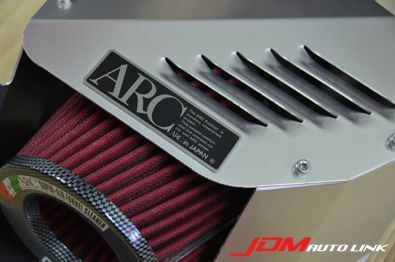 Very rare brand new ARC Titanium Finned Air Diversion Plate (Radiator Shroud) for the Nissan Skyline R34 GT-R (BNR34). 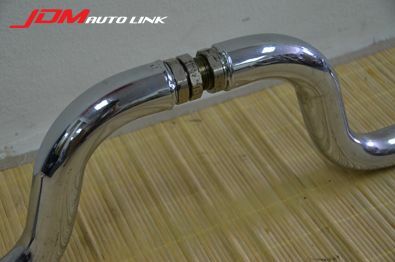 Air will usually escape through the top and bottom of the radiator, with these fitted, it will force more air through the radiator to reduce engine temperature. 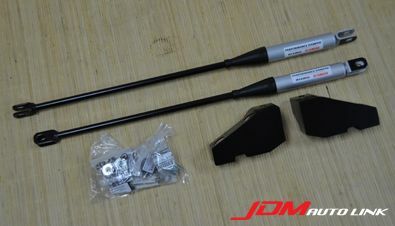 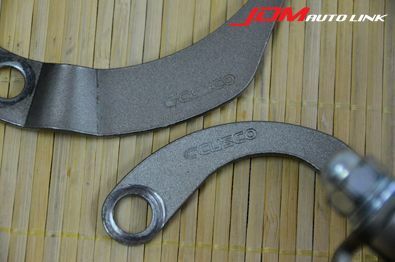 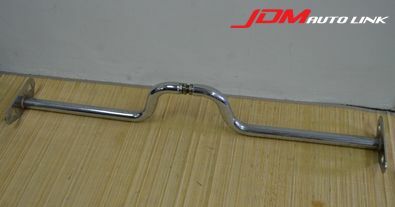 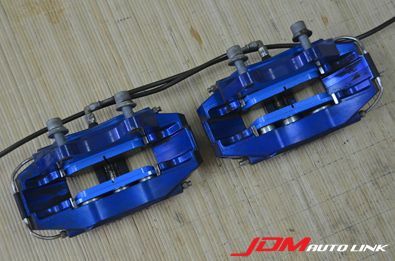 Set of brand new Nismo Performance Damper Set for the Nissan Skyline R34 GT-R (BNR34). 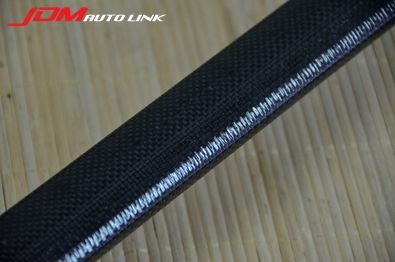 Even if the car body is reinforced and made more rigid, road surface input through the tires and load shifts during cornering make the entire body act like a spring, causing the occurrence of micro vibrations. 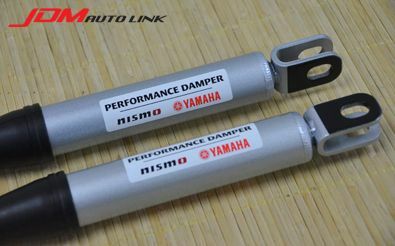 The performance damper acts to control the transmission of micro vibrations to the body. 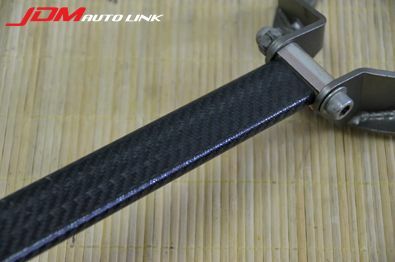 During circuit driving, micro vibrations from the car body are transmitted through the steering system to the driver, resulting too often in unnecessary steering corrections. 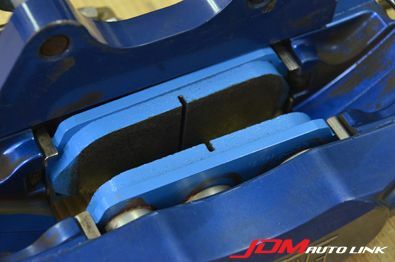 With the performance damper installed, however these micro vibrations are eliminated and excessive steering wheel handling is no longer needed, resulting in more stable handling. 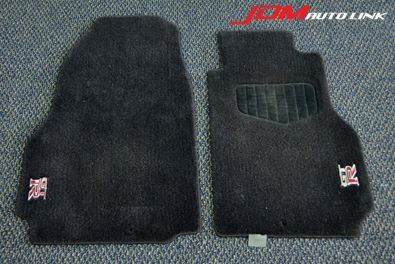 Also, in normal driving, the micro vibrations are eliminated, as well providing a much more enjoyable and comfortable ride. 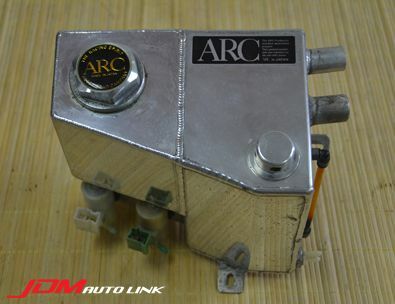 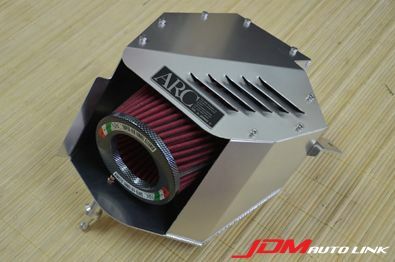 Brand new discontinued ARC Super Induction Box for the Nissan 350Z Fairlady (Z33). 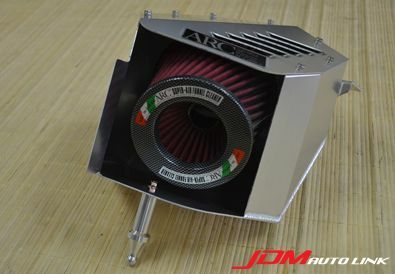 The ARC Super Induction Box greatly improves engine response at any RPM level. 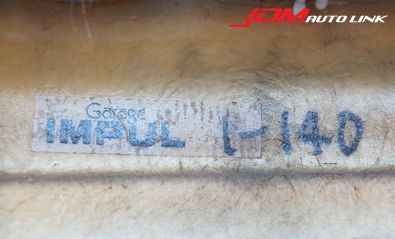 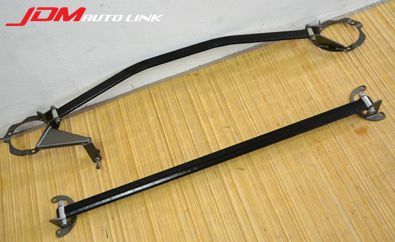 Mint condition pre-owned IMPUL 534S Front Bumper for the Nissan Skyline R34 GTT (ER34). 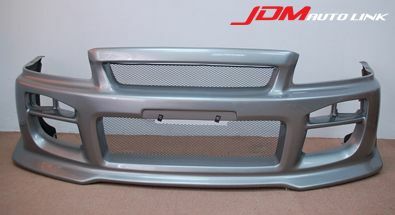 This is a very rare bumper produced by The Hoshino Racing Team owned by famous Nissan works driver, Kazuyoshi Hoshino. 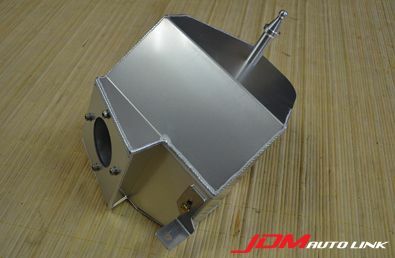 This particular unit has been modified to include in a nose to enable the fitment of a BNR34 hood. 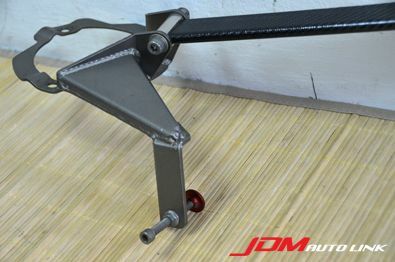 Should you be interested, contact us at sales@jdmautolink.net for more details on pricing and delivery. 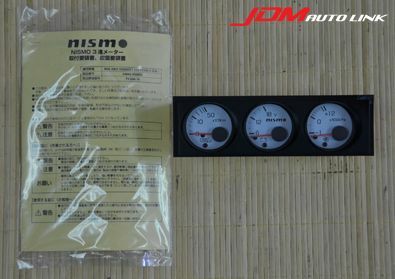 Excellent condition pre-owned Nismo Meter Cluster for the Nissan Silvia S15. 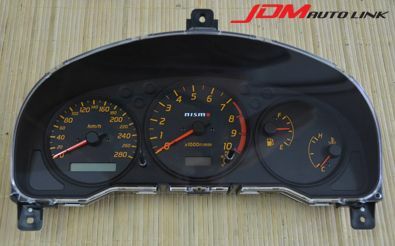 The Nismo Meter Cluster is a great addition to the S15 Silvia. 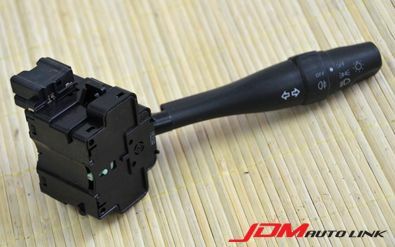 It is designed to replace the existing unit, plug and play. 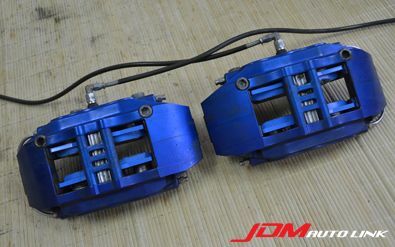 It goes up to 280km/h and has a red line of 10000rpm. 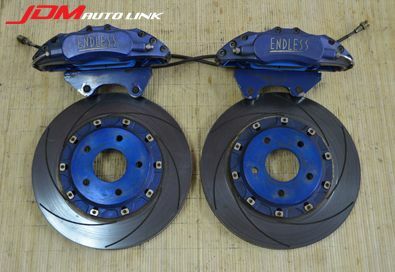 A must for any tuned S15. 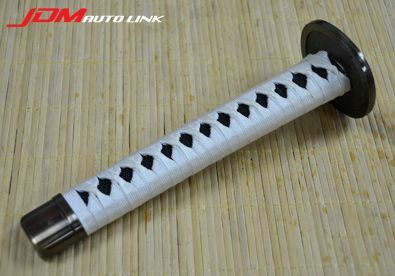 Brand new custom made in Japan Samurai Sword Shift Knob (10×1.25). 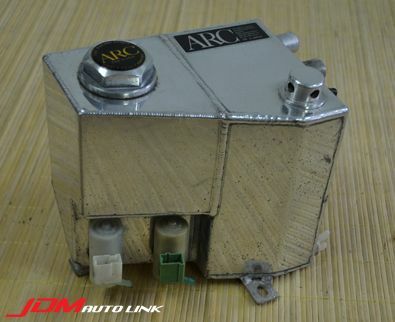 Only one unit available. 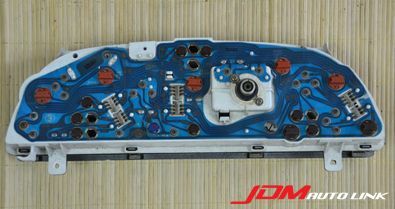 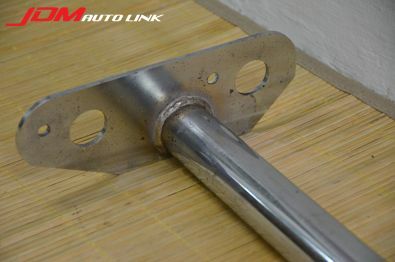 If you are interested in this part, email us at sales@jdmautolink.net for a quote including shipping to your location. 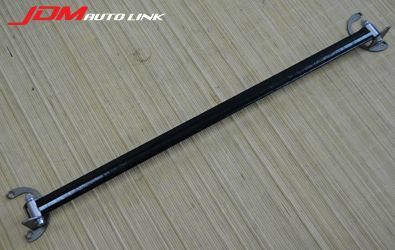 Pre-owned BNR34 Fog Light Indicator Stalk. 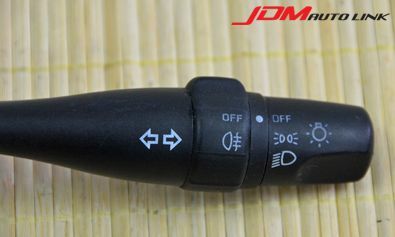 This would be very useful for ER34 owners if they have installed the BNR34 fog light as the switch is built into the factory stalk.